The Peak At Emerald City Condos is a new condo development located at north of Old Toronto, west of Etobicoke and east of Scarborough. This development has a total of 371 mixed condo units with 33 storeys. Located in the Henry Farm neighbourhood, this 33-storey condominium will have residential condo units and retail space too. Exceptional architecture by WZMH Architects makes The Peak at Emerald City condos one of the unique condos in the area. 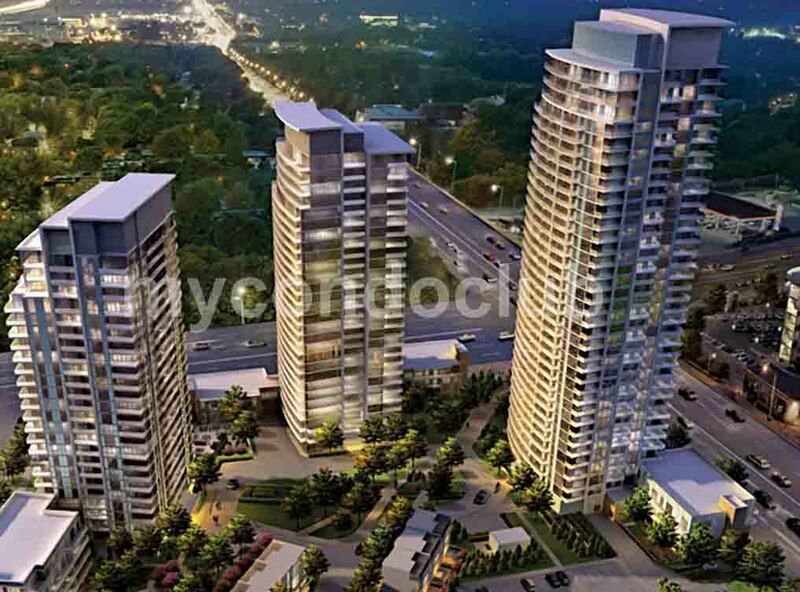 The Peak Condos at Emerald City will be located at Don Mills Road & George Henry Boulevard in North York. Best attractions near the condominium are Edwards Gardens, Mel Lastman Square, the Gibson House Museum, the Toronto Botanical Garden, Aga Khan Museum, Black Creek Pioneer Village, Cineplex VIP Don Mills, SilverCity Fairview Mall Cinemas, Cineplex Cinemas Empress Walk, North York Central Library, the Canadian Air & Space Museum, the Toronto Centre for the Arts, High Park Zoo, Humber Arboretum, Don Valley Golf Course, Oakdale Golf & Country Club, Columbus Centre, Holocaust Centre of Toronto, Japanese Canadian Cultural Centre, North York Civic Centre, Downsview Park Merchants Market, Casa Loma, the CN Tower, and Royal Ontario Museum. 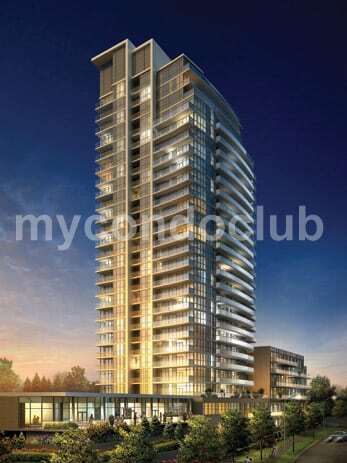 Minutes walk to Don Mills Station, bus stop and subway station. Very close to 404, DVP and 401, Seneca College and Fairview mall. Shops, restaurants, entertainment centres and schools are also nearby. Parkway Forest Park, Shaughnessy Public School Park and Oriole Park are just minutes away from the The Peak At Emerald City Condos in North York.